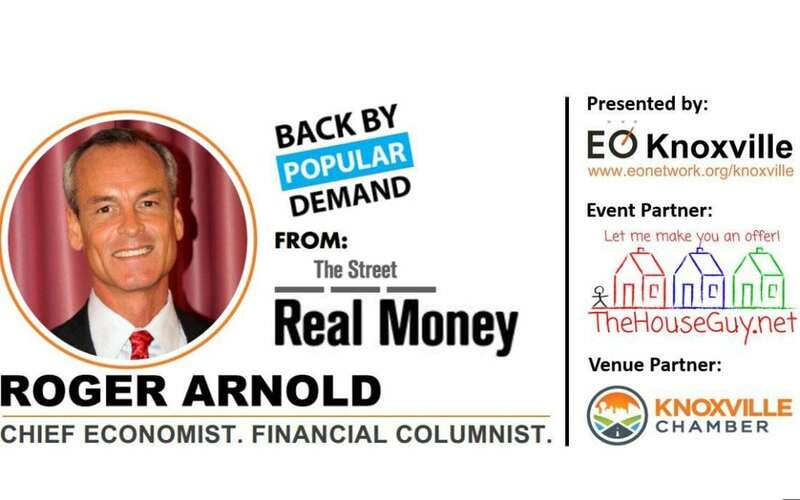 Roger Arnold returns to Knoxville by popular demand as a dynamic public speaker, known for his ability to engage audiences as he explains the relationships between political, economic, and social systems. He will outline how they are reflected in the global financial markets, stocks, bonds, commodities, currencies, and real estate. Roger is rated in the EO Speaker Database as a 9.90 out of 10. Each seat costs $50.00 including lunch.